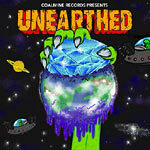 Brooklyn-based Indie Hip-Hop label Coalmine Records celebrates ten years of independence with their heavy hitting compilation album, ''Unearthed.'' Released as a double disc set, containing both a mixed version, arranged by DJ Revolution of The World Famous Wake Up Show, and an ''Untagged Deluxe Edition,'' which includes three bonus cuts, ''Unearthed'' epitomizes the boutique label's commitment to delivering quality Hip-Hop. The tracklist serves as a who's who of today's independent Hip-Hop scene, packed with features from both veteran and burgeoning up-and-comers such as Pharoahe Monch, Kool G Rap, Large Professor, The Artifacts, Blu, Sean Price, Billy Danze (of M.O.P. ), Big Noyd, One Dae, Skillz, Guilty Simpson, Rah DIgga, Maffew Ragazino, El Da Sensei, and Fashawn, among others. Producers tapped include the Australian Aria Award Winning M-Phazes, Marco Polo, Ayatollah, Diamond D, Nottz, Khrysis, and more. Tough beats, ill lyrics and the best MCs of our time all on one compilation! I like ''Kiss The Sky'' ft. Mela Machinko. Blu rides the beat like a boss and kills Mcs that lack skill with some dope bully raps. I also like the raw old school feel on beats like on ''Show Stoppa'' ft. El Da Sensei. Bump these underground loops and raps if you love good hip hop! Please note: For shipping addresses outside North America, the weight of this two-disc set makes an additional shipping charge necessary if you order this item by itself. We'll contact you about the extra charge before shipping.